Despite remarkable reductions in mortality, after many decades, the Centers for Disease Control and Prevention still lists coronary heart disease (CHD) as the leading cause of death among men aged 45 and older and women 65 and older. Stroke follows closely behind as the third most common cause of death in the elderly. Morbidity related to CHD and stroke, in particular, is also a major cause of disability and loss of independence in the geriatric population, making it an important priority for all clinicians who care for the elderly. Clinicians should be aware that their sole use of this risk algorithm would lead to their prescription of statins in the primary prevention of CHD for virtually all elderly subjects. It is curious to note that the ATP IV guidelines have recommended intensive statin therapy up to the age of 75 and moderate statin therapy thereafter.1 It is not clear why either this difference in dosage or age cut-point was recommended because the data from large-scale randomized trials suggest net benefits up to the age of 85 in primary and secondary prevention.3 Beyond that age, the absence of data does not necessarily imply the absence of benefit. What, then, are clinicians to do for patients over the age of 75, whose numbers are increasing throughout the United States? Some have suggested the need for randomized trials in the oldest old. While this approach would provide the most reliable evidence, the Cholesterol Treatment Trialist's Collaboration has demonstrated that, at all ages up to 85, the lower the LDL achieved, the greater the benefit on CHD, regardless of the entry or achieved levels. Thus, it appears that there is no level of LDL below which incremental benefits have not been demonstrated with statin therapy. Further, the random assignment to placebo may be considered by some to be unethical based on the totality of evidence. Of note, a recent forecasting study was done suggesting that treatment with a statin of patients aged 75 to 94 would avoid approximately 85,000 premature deaths over 10 years. 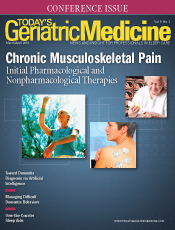 The authors cautioned that the absolute benefit gained would have to be balanced by real and perceived side effects, particularly muscle weakness and cognitive decline.4 With respect to these side effects in patients up to the age of 75, uncontrolled clinical observations suggest possible risks, but the available randomized evidence is largely reassuring. Thus, while randomized evidence leads to guidelines, these should guide but not dictate to the clinician. All such data and recommendations are important but cannot replace the astute individual judgment of the clinician in consultation with each of his or her patients in deciding whether, and, if so, how best to treat hypercholesterolemia and prevent CHD and stroke in those aged 75 and older.5 The observation that many older patients are concerned about costs and may fear disability more than death suggests that these issues should also be a component of the totality of evidence upon which to make the most rational individual clinical decisions for patients and policy decisions for the health of the general public. Whatever the ultimate decisions, pharmacologic therapies should be adjuncts to and not alternatives to therapeutic lifestyle changes. For cigarette smoking and CHD, it is never too late to quit, as the CHD rate approaches that of the never smoker within a few years of smoking cessation, even among the elderly.6 While obesity is emerging as the leading avoidable cause of premature mortality in the United States,7 a brisk 20-minute walk daily or on alternate days will reduce risks of CHD by between 35% and 55%.8 This preventive strategy of therapeutic lifestyle changes might avoid, for many, the need for any further consideration of any adjunctive therapies. For those who require adjunctive drug therapies such as statins, aspirin, and angiotensin converting enzyme inhibitors or blockers, this preventive strategy would provide the same options to the oldest old that are of proven benefit in reducing premature morbidity and mortality from CHD in middle-aged men and women. — Charles H. Hennekens, MD, DrPH, is the first Sir Richard Doll Professor & Senior Academic Advisor to the Dean and a faculty member of the Foundations of Medicine course at the Charles E. Schmidt College of Medicine at Florida Atlantic University. He is a researcher, teacher, and clinician with major interests in preventive and cardiovascular medicine. — Dawn Harris Sherling, MD, is an assistant professor of clinical biomedical science and codirector of the Foundations of Medicine course at the Charles E. Schmidt College of Medicine at Florida Atlantic University. She is a practicing general internist with major interests in preventive medicine and medical education. 1. Stone NJ, Robinson JG, Lichtenstein AH, et al. 2013 ACC/AHA guideline on the treatment of blood cholesterol to reduce atherosclerotic cardiovascular risk in adults: a report of the American College of Cardiology/American Heart Association Task Force on Practice Guidelines. J Am Coll Cardiol. 2014;63(25 Pt B):2889-2934. 2. ASCVD risk estimator. American College of Cardiology website. http://tools.acc.org/ASCVD-Risk-Estimator. Published 2014. 3. Cholesterol Treatment Trialists (CTT) Collaboration, Baigent C, Blackwell L, et al. Efficacy and safety of more intensive lowering of LDL cholesterol: a meta-analysis of data from 170,000 participants in 26 randomised trials. Lancet. 2010;376(9753):1670-1681. 4. Odden MC, Pletcher MJ, Coxson PG, et al. Cost-effectiveness and population impact of statins for primary prevention in adults aged 75 years or older in the United States. Ann Intern Med. 2015;162(8):533-541. 5. Hennekens CH, Pfeffer MA. Guidelines and guidance in lipid modification. Trends Cardiovasc Med. 2015;25(4):348-350. 6. LaCroix AZ, Lang J, Scherr P, et al. Smoking and mortality among older men and women in three communities. N Engl J Med. 1991;324(23):1619-1625. 7. Hennekens CH, Andreotti F. Leading avoidable cause of premature deaths worldwide: case for obesity. Am J Med. 2013;126(2):97-98. 8. Lewis SF, Hennekens CH. Regular physical activity: forgotten benefits. Am J Med. 2016;129(2):137-138.